Sew & Tell: ALYOF - February Finish! 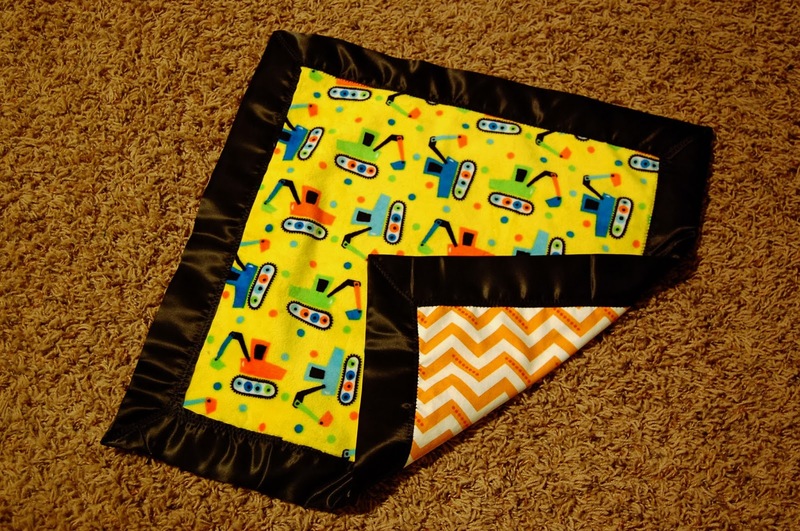 I finished up my February goal - a pillowcase (and small blanket) for Brendan - before we left on vacation. I was still trying to decide what "theme" to go with for his room... so I went with construction because both boys love all things tools / trucks / construction. ....and Brendan went to bed last night snuggled up in that blanket. So I'm thinking his room theme might change - again. But hey - I finished my goal item(s) for the month! Finishing your goal is great. Those goals keep changing when you have little ones around! 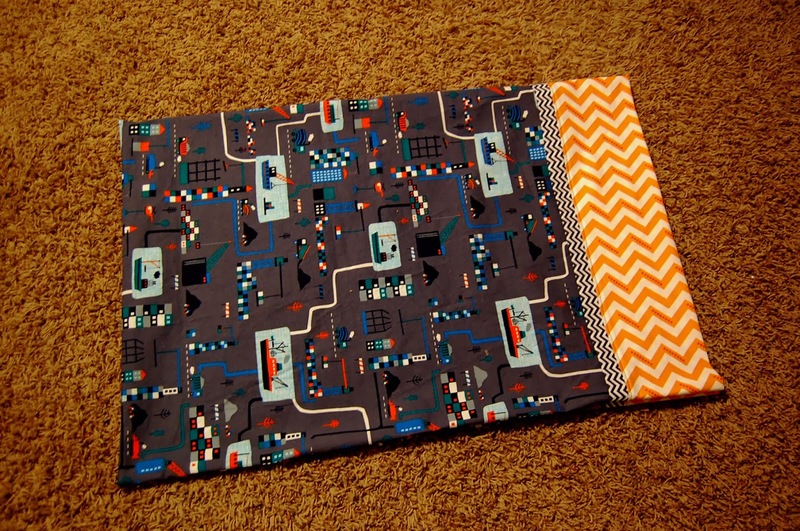 Such cute fabrics!